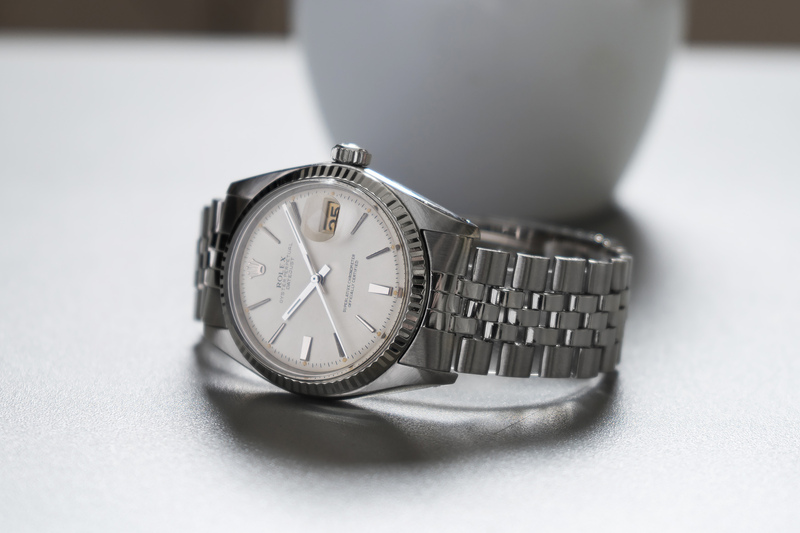 If you didn’t noticed yet, we are a huge fan of the Vintage Rolex Datejust! It has so many different styles and configurations that it never stops to amaze! 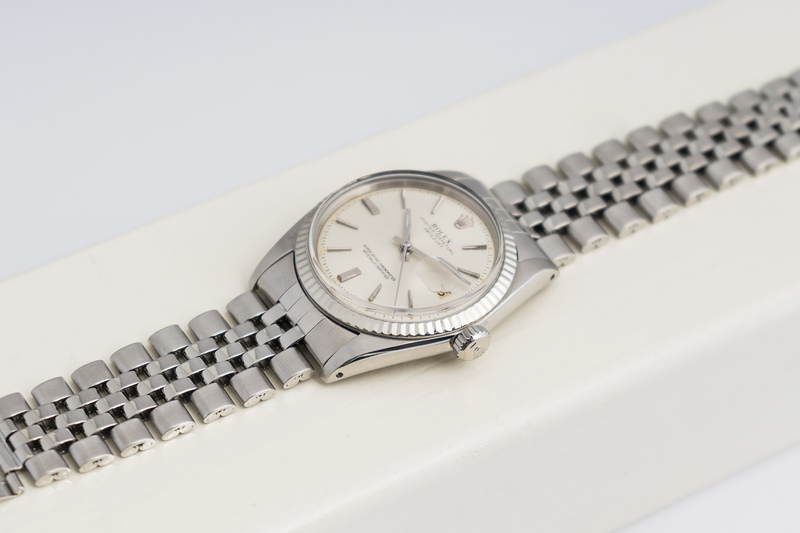 Another great example of such a Datejust is the one we are offering right here! This 1601 reference has a matte, off-white pie-pan dial with beautiful sleek black printing and all white gold hour-markers. The TSWISST dial features the so-called ‘Doorstop’ hour markers at the six and nine o’clock position while all other markers are sleek with a sharp facet on both sides making the hourmarker pointing a bit upwords, almost like a tiny roof – truly awesome! 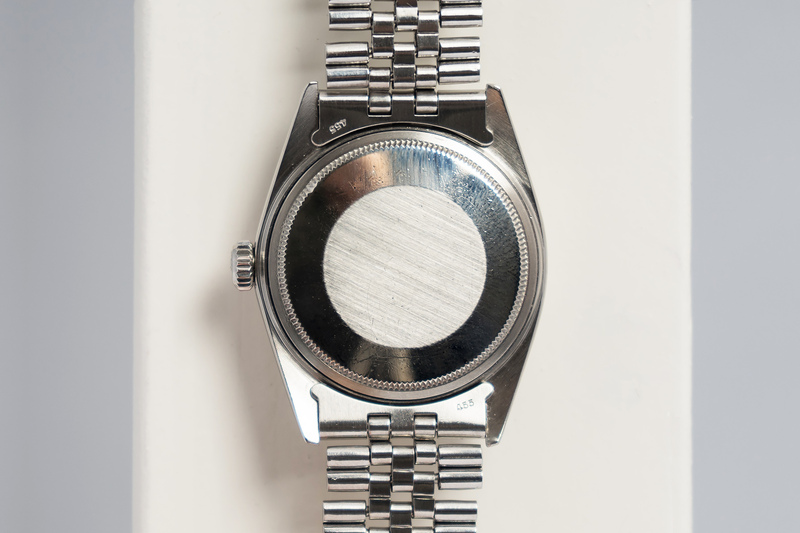 All tritium dots at the end of the hour-markers are intact and have a wonderful creamy patina. 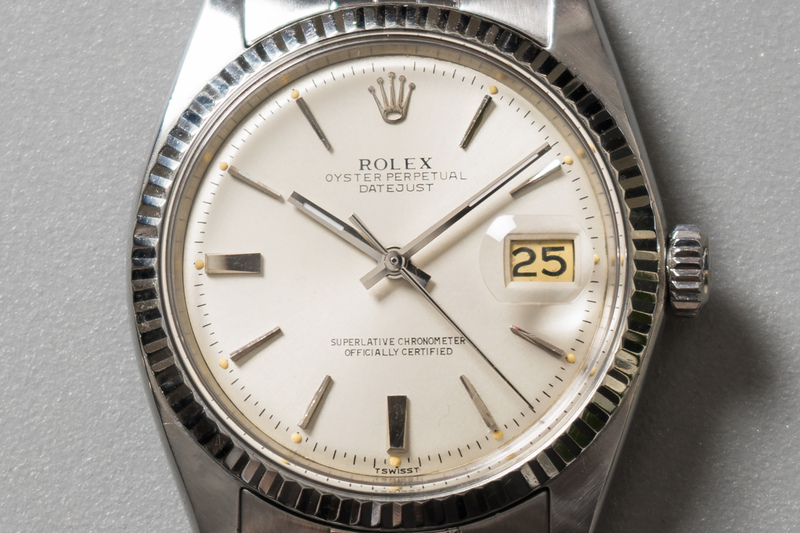 The wonderful 18c white gold fluted bezel is in an excellent condition and shows sharp edges all around. The case is still nice and thick while the reference and serial number are clearly readable – no scratches or deterioration of the case whatsoever. 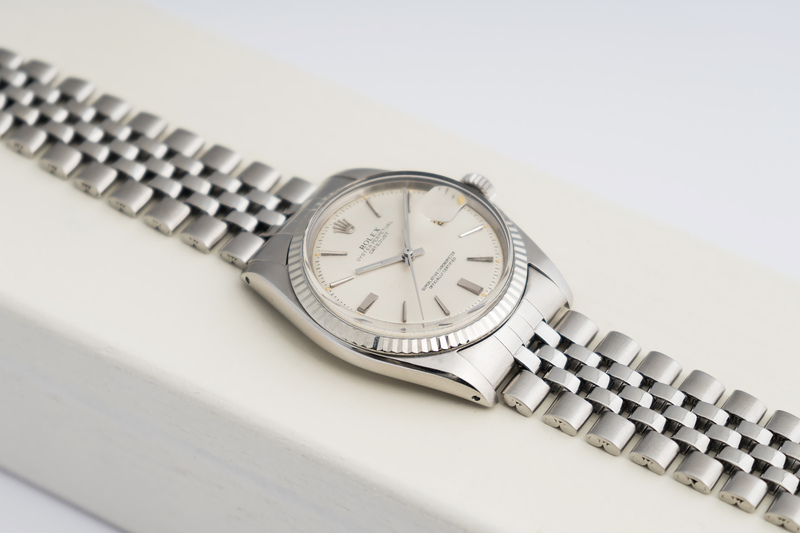 The folded Jubilee bracelet has a 62510H serial with 455 endlinks and does show some stretch due to its age, but nothing too concerning. 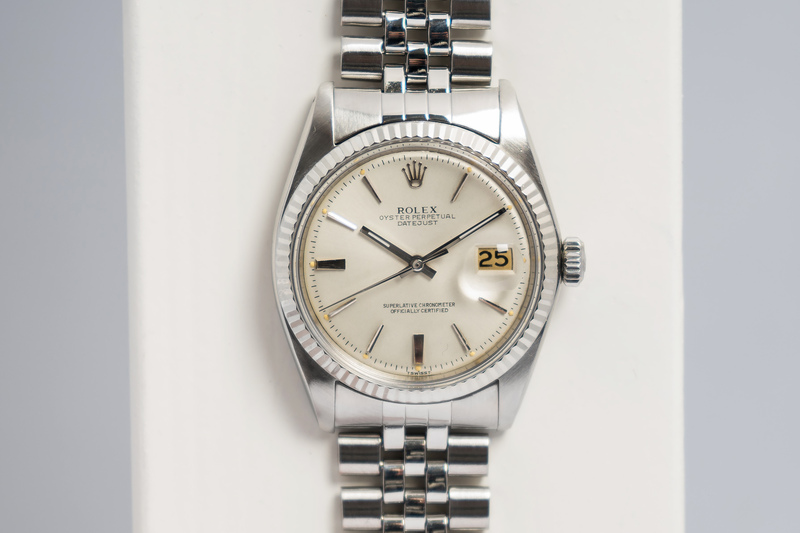 This truly beautiful 1601 Datejust was completely overhauled by our watchmakers and is in an excellent condition! The watch will be offered with a 12 month warranty and we’re sure it will make somebody out there very happy!